This week I was on three different podcasts (including a new podcast I started with comedian Jay Nog), so here is hoping you can enjoy me on a variety of topics – all funny. 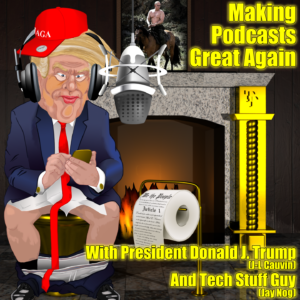 Making Podcasts Great Again – I play Donald Trump on this new, weekly podcast. Listen on Podomatic or use iTunes to subscribe and give 5 stars. Locked on Pistons Podcast – A guy who runs the Detroit Pistons podcast wanted to talk to me about comedy and the Utah Jazz playoff run so here it is!